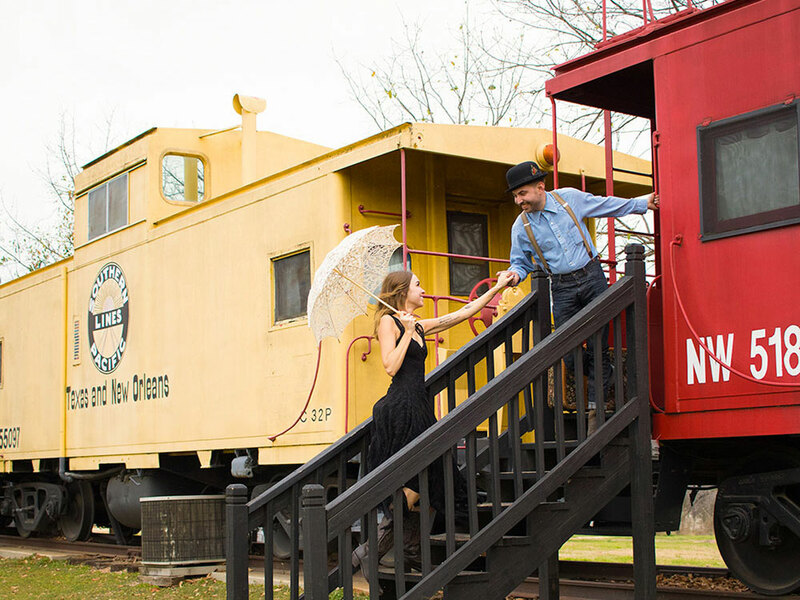 A night at The Antlers Inn might include a stay in a vintage train car or caboose, an historic hotel built in 1901, or a railroad depot-turned guest house. 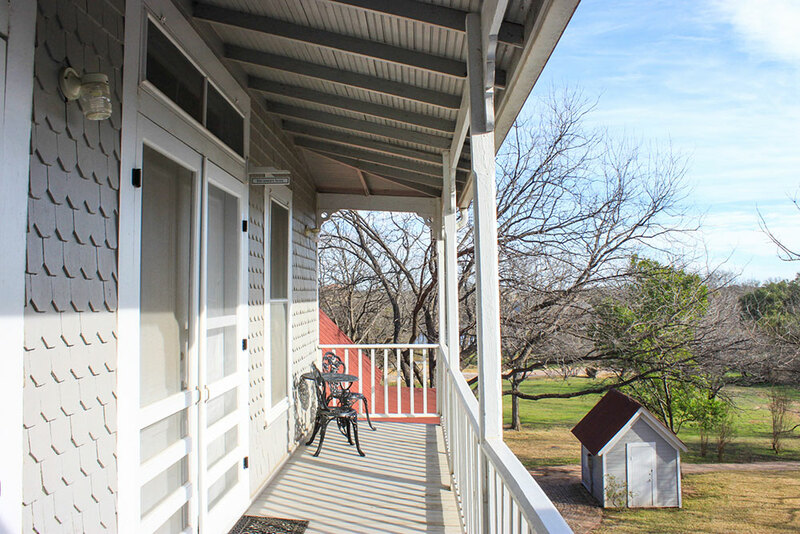 No matter your choice, The Antlers Inn is an accommodation unlike any in the Texas Hill Country. Located in an area often considered “Old Town Kingsland,” the land became a juncture of the Austin and Northwestern Railroad. A railroad depot was built on the site, and in 1901, the owner of the railroad line opened a resort hotel — a fashionable and prosperous business in a time when people vacationed by rail. The Antlers Inn today is as it was at the start of the 20th century: a luxurious hotel with guest suites and comfortable accommodations. The hotel is sprinkled with mainstays from the past, including a handsome telephone made of oak and brass, authentic arrowheads found on the property, and framed newspaper articles and photographs from the turn of the century. The six guest suites in the hotel are not numbered, they’re named. Stay in the Texas Writers Suite with glass-front shelves lined with books written by Texas authors. 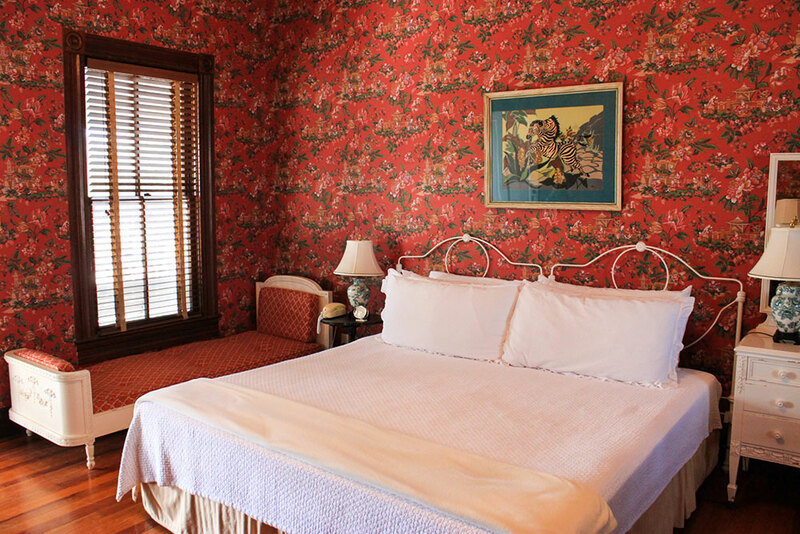 The 1901 Room, Victorian, Drummer, Railroad, and Antlers suites are each uniquely decorated. The hotel has wide verandas and unobstructed views of the Texas Hill Country and the Llano and Colorado rivers. 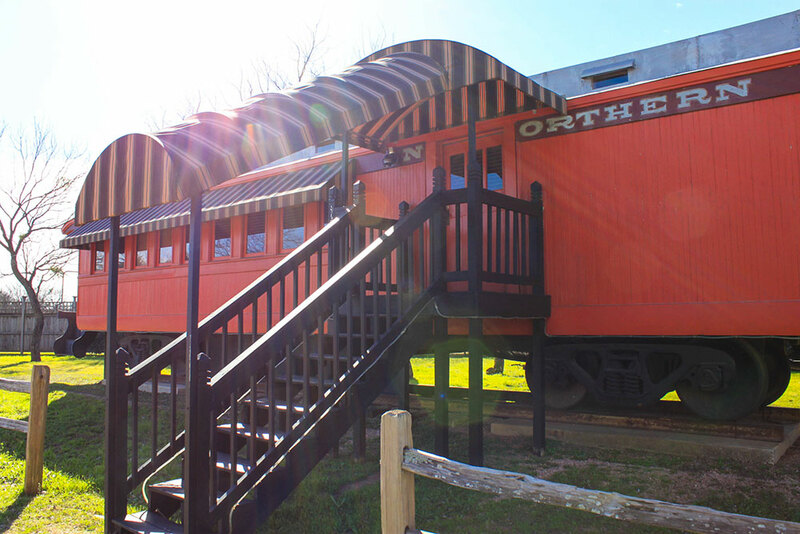 The three colorful cabooses are the first thing visitors see when they pull onto the property. They were purchased at auction in Decatur, Illinois, and moved to Kingsland (by rail, of course). Each caboose — red, yellow, and blue — was refurbished and outfitted with a queen-size bed, a children’s bunk bed, a bathroom, a shower, and a kitchenette. There is a cupola (a small lookout on top of the caboose) that guests can climb up to watch the sun rise and set. 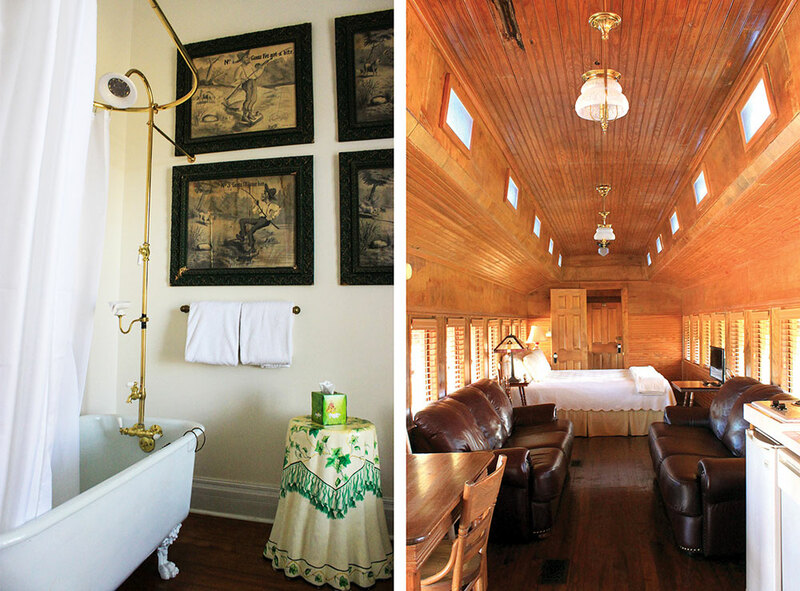 For a real treat, stay in the McKinley Coach, an antique, wooden rail car and one of the oldest items on the property (it dates back to the 1880s). The McKinley Coach has a king-size bed and two twins, a kitchenette, and a bath and a half. The beautiful, wood interior is all original. There also is the train depot, reconfigured into a large guest suite with two king-size beds, a full kitchen, and a private back patio. In addition to the depot, there are cottages and cabins scattered across the ground, each with its own charm and appeal. Every room at The Antlers Inn — from the cabooses to the main hotel to the cabins — includes first-class linens and five-star features. With authentic relics from the past, visitors feel like they’re taking a trip back in time. The Antlers Inn is located at 1001 King St. off RR 1431 in Kingsland. 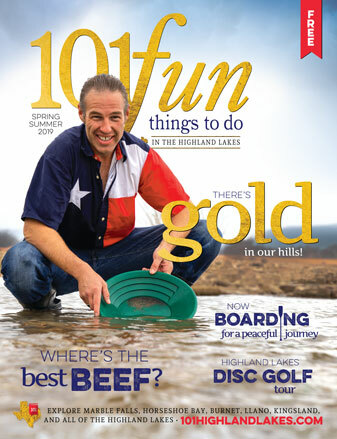 Go to theantlers.com or call (325) 388-4411.